Staying on top of market research projects can sometimes be challenging. 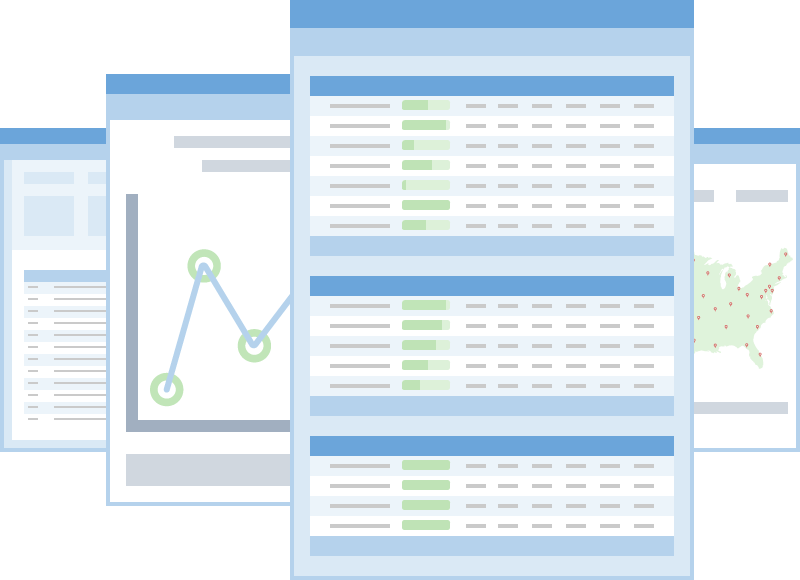 To simplify this, we created a platform that enables you to easily access and manage your market research projects with a variety of reports, options, and tools. We listed some of the more popular features below, but we are constantly working on new ideas. Interested in previewing our platform? 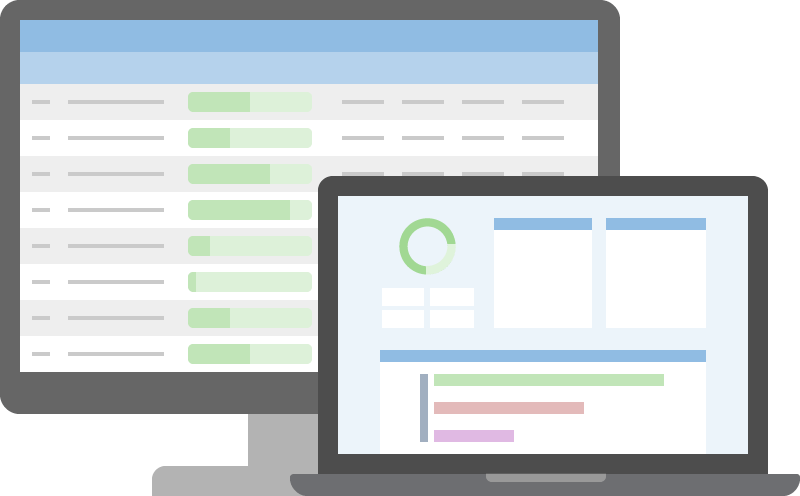 Keep track of progress across all projects in a simple, real-time dashboard. 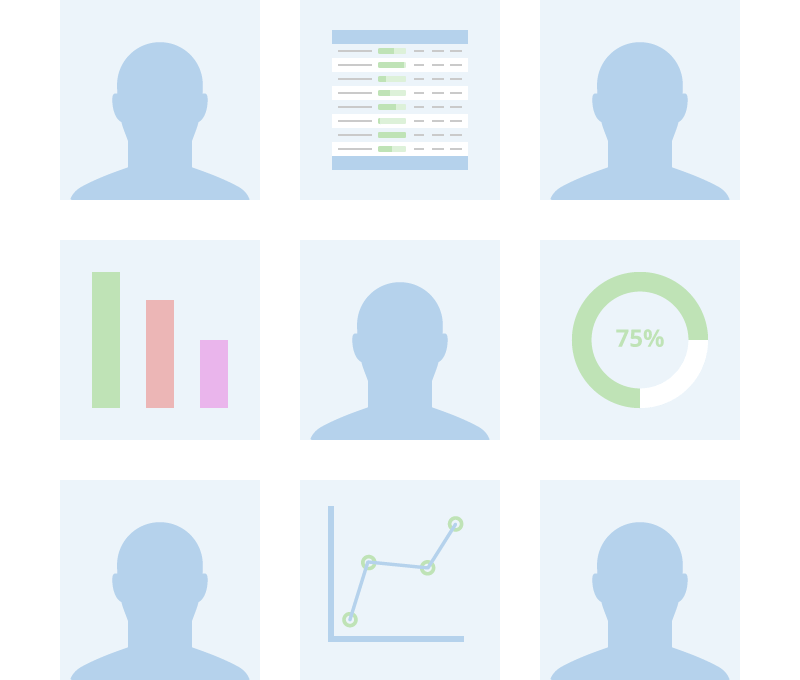 All survey metrics are tracked continuously as respondents move through each survey. For more detailed information about individual projects, we offer a project dashboard which allows users to track real-time survey results by question. 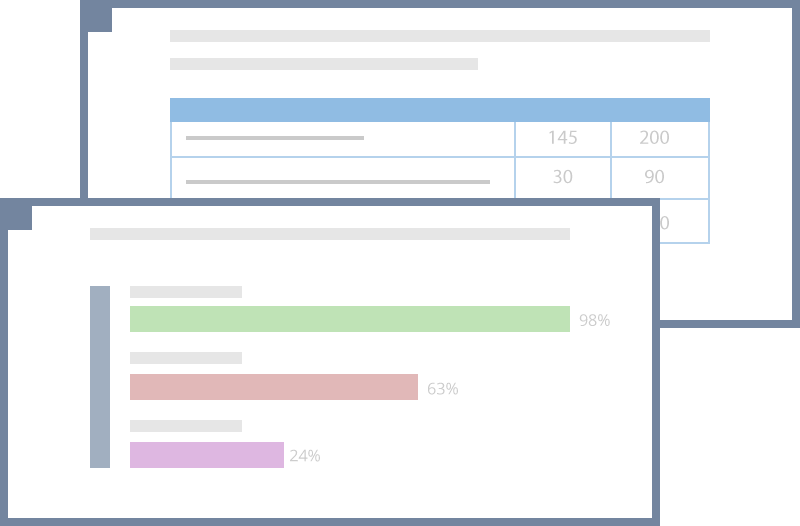 Keep track of incoming survey results by selecting questions of interest and adding them to the project dashboard. All of the results will be displayed in real-time and you can manage the selected questions by adding/removing them and changing their order. Survey metrics are key to understanding the progress of each project. Some of the most important metrics provide insight into the number of respondents who have completed, abandoned, disqualified, or become ineligible due to quota restrictions. Metrics are reported in real-time and can be broken out by target audience and in some case by question for more in-depth analysis. Our data download tool allows you and your team to grab the latest survey data at any time in a variety of file formats. We give users the ability to create and save custom data layouts as well as be able to share them with the rest of the team. A history of your data downloads will be saved and available for you to use at any time. Testing surveys is important but can be exhausting and time-consuming. 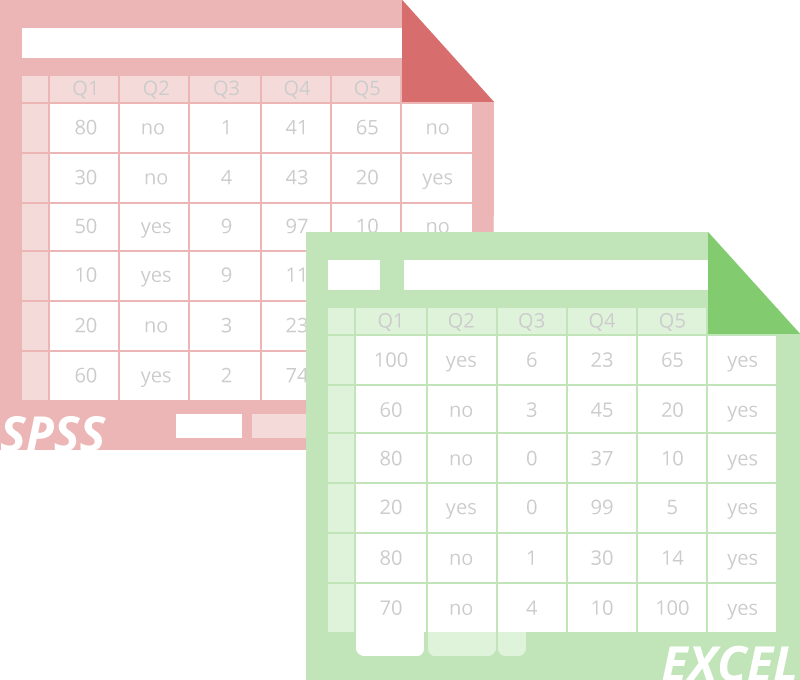 We simplified the work-flow of testing surveys by allowing you and your team to request survey changes right from within the survey, which means no more back-and-forth emailing or confusing excel files. Keep track of all requests inside of the platform, as well as the status of each request. You can’t always be tracking your project, so we made it easy to stay in the loop and receive critical updates when you are away from the screen. 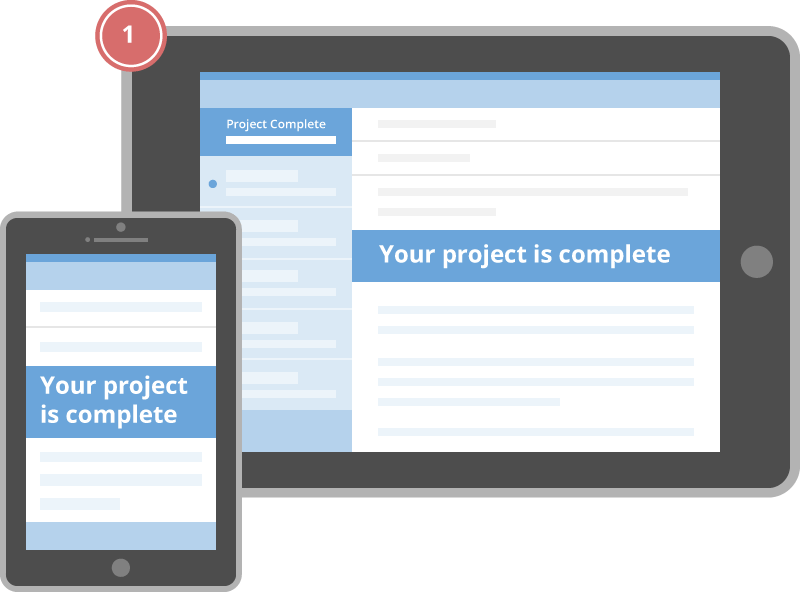 By creating custom alerts for project events, users can be notified by email when a survey metric for the entire project or a specific target audience crosses a pre-set threshold. Our platform allows some users to share project access with colleagues, clients, and vendors. 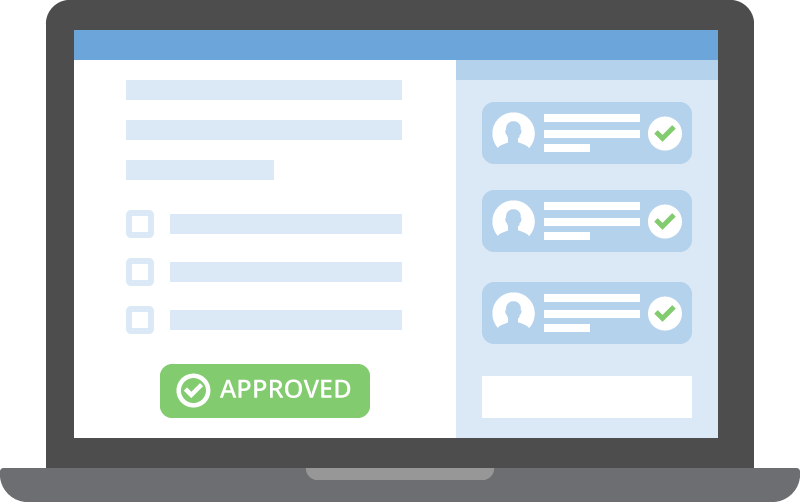 A project administrator will be able to add, remove, and manage users on each project. A range of permissions also enables the administrator to limit access to more sensitive areas such as finances and data download. Additionally, users always have the option of sharing reports and other project content via email. 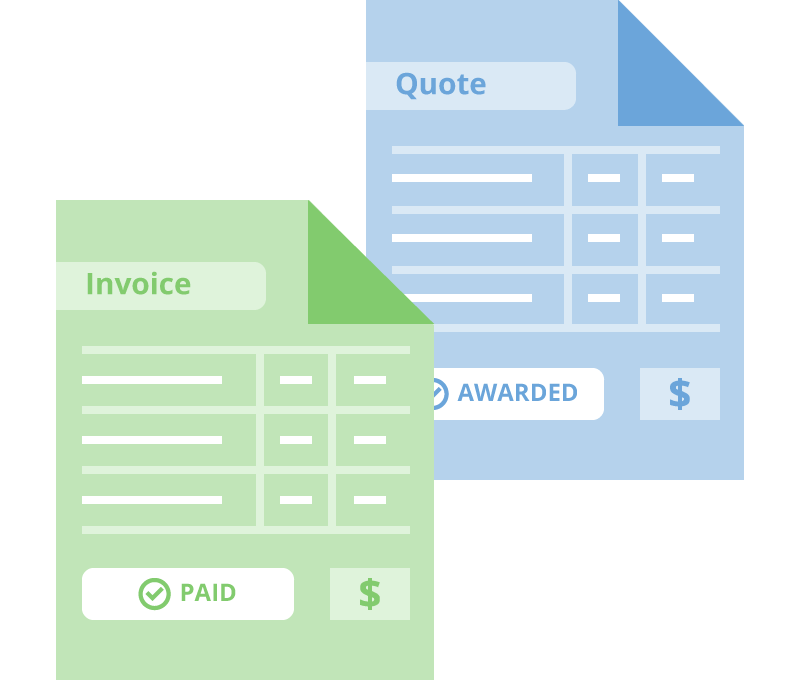 Our platform allows users to access a history of price quotes, project invoices, and submitted payments. Additionally, users can request quote revisions, award quotes, and share quotes/invoices via email. As a convenience, any project invoice can be paid online instantly with a credit card or a verified bank account.